I will admit that it never occurred to me to visit Madame Tussauds in Washington DC until they reached out to me. In this town of free admissions to some of the best museums in the world, why would I pay to visit a collection of wax figures? Is not that place simply for tourists? Even when in London I have never had the desire to check out the original Madame Tussauds. But in the spirit of blogger journalism and a feeling of obligation to at least try this family-focused attraction in my area, my crew and I headed down one Saturday in May. I was skeptical. I readied myself for the cheese. But what I was not expecting was how much my children would enjoy it, and how much Madame Tussauds piqued their interest in history! At Charlie and Eve’s elementary school, the fifth graders traditionally host an American history “wax museum” in which the students dress as historical figures and provide short oral histories in character for the other students. So Charlie and Eve were already familiar with the wax museum concept, and as kids who visit museums monthly, they are seasoned exhibit viewers. Immediately Charlie, Eve and Alice all captured the spirit of fun history that permeates Madame Tussauds. With big smiles and loads of enthusiasm, these sometimes less-than-enthusiastic kids had dropped any disaffected tween airs and were shouting to me to take their pictures. Mind you, these are kids who have been bugged by their mom to pose for photos for my blog for the last seven or so years. I will confess that I often have to promise money and treats and make tasteless jokes to get them to smile in front of attractions. But at Madame Tussauds the children were initiating the photos. 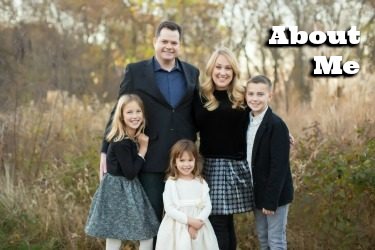 All of the pics in this post were posed by the children themselves, even the ones featuring me and my husband Chris. Charlie and Eve read the didatic placards on their own, both for the figures they recognized and ones they did not. Chris and I left the kids to explore at their own pace. Visitors are allowed, even encouraged, to touch the displays, so it was a relief to relax at a museum with kids (especially three-year-old Alice) and let them paw everything. I was impressed that the Washington, DC location focuses mostly on American history and makes an effort to represent culturally diverse American figures. There are all 44 Presidents in the Presidents Room and a Civil Rights Room featuring Dr. King, Rosa Parks and more. The Media Room also feels educational and very “DC”, featuring television journalists, perfectly posed to “interview” their living guests. The Sports Zone will be a hit with your young sports fan, allowing Caps fans to take a pic with Ovechkin or play catcher to The Babe. The only room that lived up to my preconceived notions of cheese was the Glamour Room, but I will admit it was fun to snap pics with reproductions of Beyonce, Justin Bieber and more pop culture icons. The museum is smaller than I expected and we finished our tour in less than one hour. The kids thought this was the perfect amount of time, and all children remained whine-free. 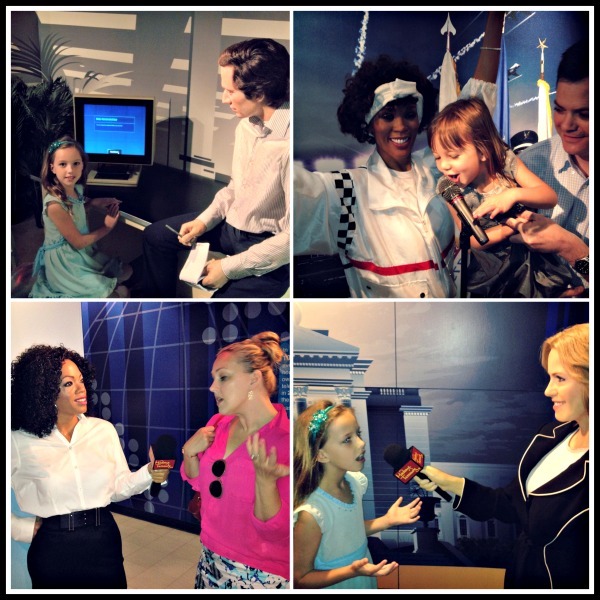 In short, give up your cultured cool and give Madame Tussauds Washington, DC a try. Your kids will love it and they will learn. 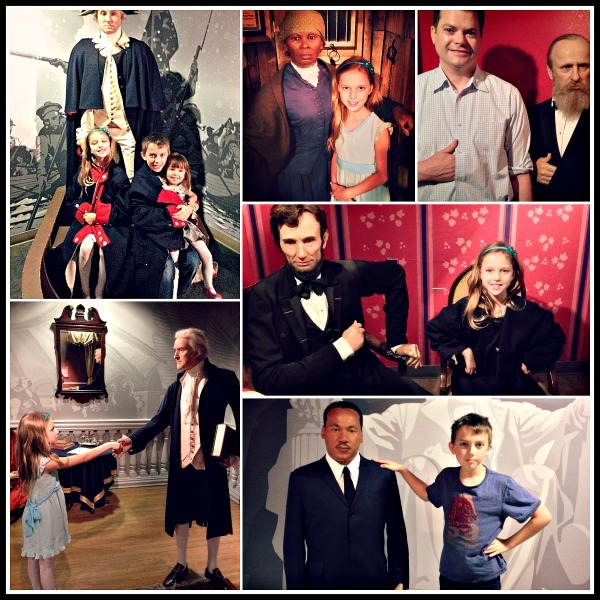 After logging hours with your kids in front of our town’s Degas, Cassatts, Hope Diamonds and Wright Flyers, I think you will enjoy embracing (literally) those manufactured wax figures of history. To win five free tickets for your family and friends, enter below! Disclosure: My family was provided with tickets and more for giveaway. No compensation received. All opinions are my own. We want to go with our family and have fun at the museum too!! Heck ya , we wanna go – looking forward to posing with Oprah like you did ! The Oprah figure is tiny…like smaller than Katie Couric. I was asking her for fitness tips. 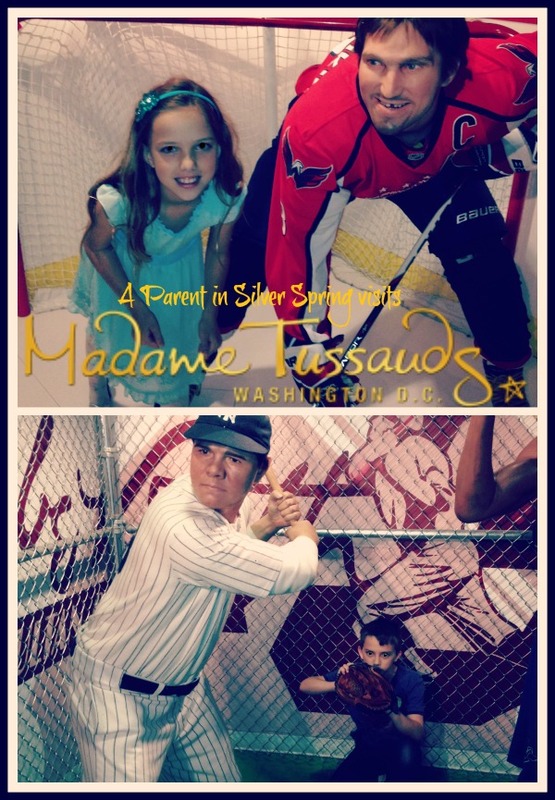 I did not even realize there was a Mme Tussauds in DC. My kids are older, but I think they would still like this. It’s right by Ford’s Theatre and Metro Center…and catty-corner to the new Shake Shack. Fun museum + fun lunch = my kids were elated. I have never been but would love to experience this!. Sounds like fun. We’d love to go! Have never been and would LOVE to try it out. Thx for the opportunity! This is too perfect — sounds like it would appeal to my multi-aged kids..15, 12, and 6! Thanks for the chance. I have been wanting to go and see this museum. 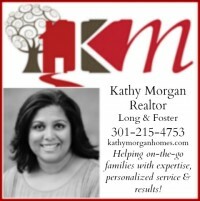 A fun summer activity! I visited about 4 years ago. Went with people from work. Like you I was pleasantly surprised. I’d love to take my family here sometime this summer. I love the pictures of your kids. It looks like they hada great time! I hope to win so we can check out the museum. Me and my family would love to go! Looks like fun! I’ve always wanted to check it out. I went to the London museum when I was a kid and I found it very creepy. But my kids haven’t been n a wax musem and maybe they will enjoy it. I am curious to go to this one with them. We have never been, but it looks like fun! Funny, I was just thinking a couple weeks ago that my youngest is getting to be an age when this would be a really fun adventure. 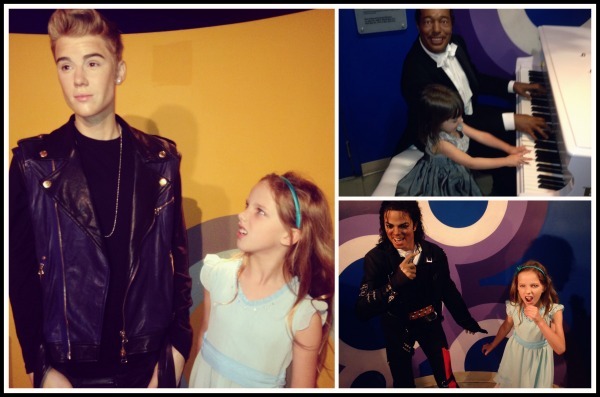 I’ve never been to a wax museum, so it would be a new adventure for all of us!